In John chapter 6 Jesus had a mega church following going on—we’re talking thousands. But nearly everyone but His twelve left after a particularly difficult teaching. 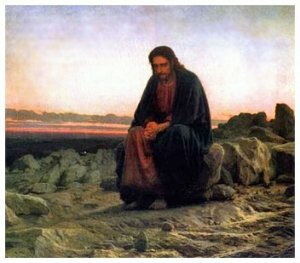 Jesus did not tell the twelve or His Father, “I guess I need to rethink my ministry model”, He didn’t go after them and try to coax them back with reassuring words; He turned to His twelve and asked, “Do you want to go away as well?” (To which, Peter happened to reply with one of my favorite lines in the Bible, “Lord, to whom shall we go? You have words of eternal life.”) Numbers and retention numbers may reflect successful business but we cannot conform to measuring and shaping church ministries or evangelism this way. We cannot cower from lovingly preaching truth that causes a person to choose to surrender to God or abandon Him because we fear rejection or the loss of people’s company. We must always be trying to engage people in the most effective ways with God’s Word, but we must never change or avoid preaching it just because it makes us or others feel uncomfortable, or even angry.